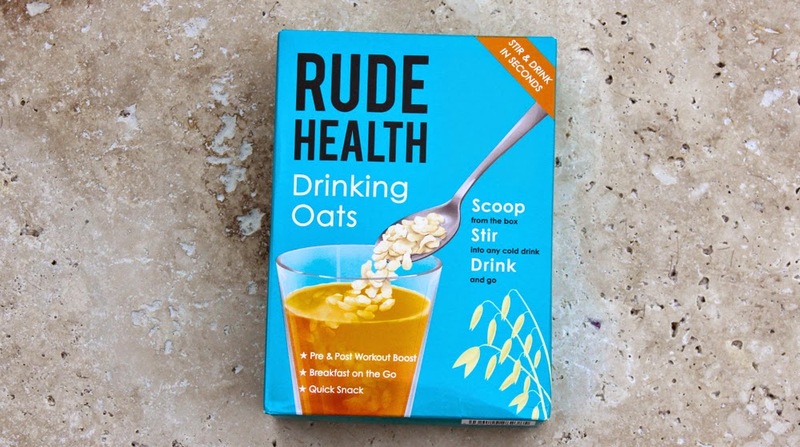 'Natural Tasty Energy' sounds like a good strap-line for any energy bar. 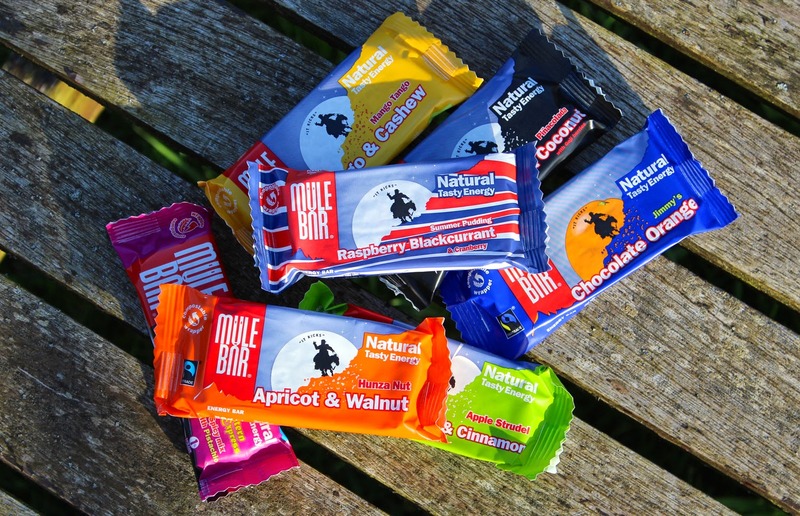 MuleBar have taken the standard cereal based energy bar, and added some unique and tantalising flavours; to encourage you to keep fuelling whilst you train. I've been testing a mixed box of the bars, and thought I'd do a bit of a group-test blog post, to shout about my favourites! MuleBar Hunza Nut - Apricot and Walnut Bar A fruity mix of apricots, with a textured crunch of walnuts. This is easy to eat, high in fibre and the walnuts should help to provide a bit of protein and sustained energy. MuleBar Summer Pudding - Raspberry and Blackcurrant Bar This has fast become one of my favourites. The 'Summer Pudding' really does come through with the mix of raspberries and blackcurrants. It's got that slightly bitter zing to it, from the berries, and it seemed especially appropriate for the 'early summer' training days I had in Mallorca last week. Overboard are well-known in the sailing and water-sports markets; in fact I don't think I've ever been into a sailing club changing rooms without seeing an Overboard bag. That fan base is largely built around the brand's roll-top design waterproof bags, which are reputed for their good quality and good value. 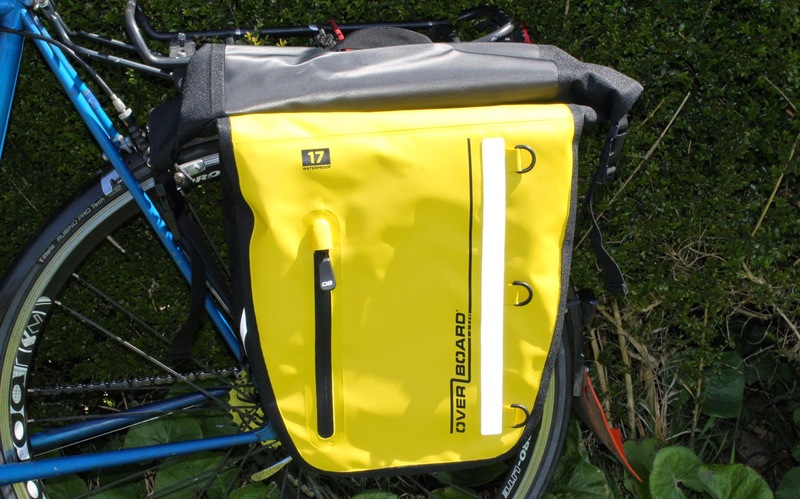 Given that waterproof bike panniers usually adopt a similar roll-top closure, but just with pannier hooks and reflective detailing added, it seems logical that Overboard should also get into the bike luggage market. The Waterproof Classic Pannier is part of a wider range that includes rucksacks, phone cases and messenger bags. This is the first product I have owned from the Overboard brand, it appears to be a well designed bag for either the commuting or touring cyclist. 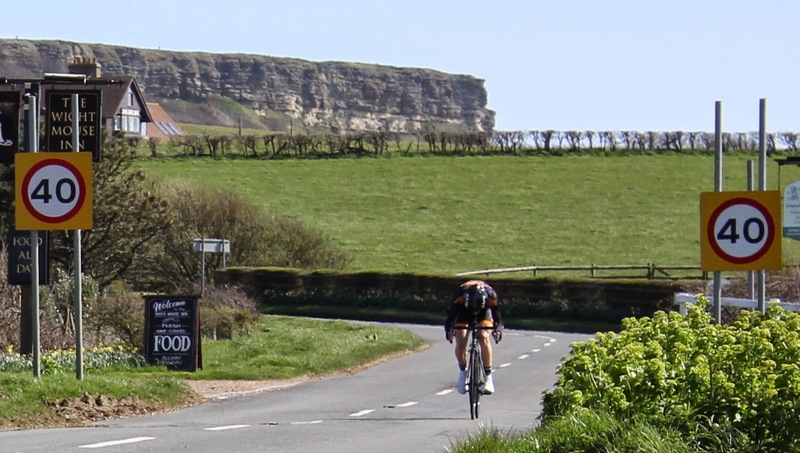 What would be your ten ingredients for a perfect cycling event? Great weather - it is always better when it's warm and sunnyGreat roads - a mixed terrain (preferably mountains), adds varietyGreat planning - a good route and signage; no-one likes getting lostGreat people - riding companions and event helpers are a key featureGreat food - tasty pre, during and post ride refreshments are vital!Adventure - something new and different is excitingCompetition - a bit of gentle rivalry always adds some exhilarationBack-up - sometimes things go wrong; it's good to have a contingency for peace of mindNice kit - your bike and riding kit are all part of a good rideAtmosphere - friendly support fuels an incredible willingness to take on a challenge! GRÀCIES!! · ¡¡GRACIAS!! · THANK YOU!! · DANKESCHÖN!! I've always been a fan of dried fruit, nuts and seed mixes. Whether you're snacking after a hard morning training session, or you need something to break up the monotony of energy bars and gels on a long ride; dried fruit and savoury nuts are an ideal source of energy and protein. 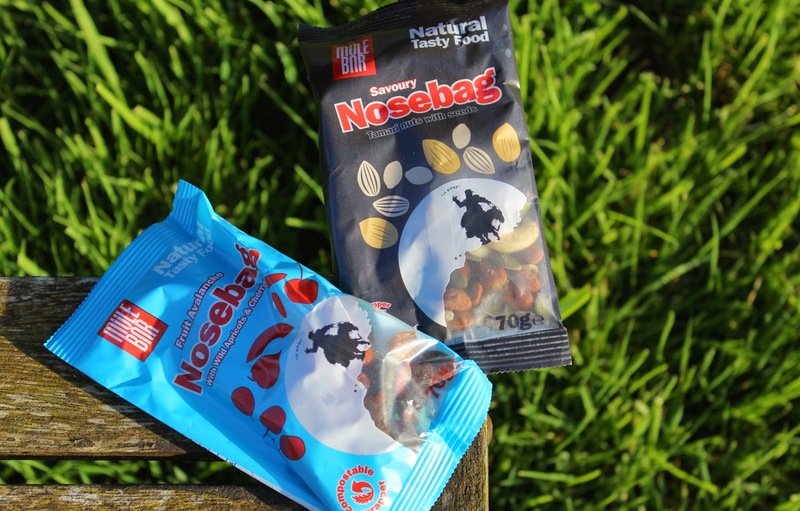 MuleBar have clearly tapped into this idea with their new Nosebag products; handy jersey pocket-sized bags of dried fruit, and savoury nuts and seeds, which provide a great alternative energy source. There's nothing particularly revolutionary about the contents of MuleBar's Nosebags, but they do taste great. Last year, I rode a number of "endurance rides"; including a 200 mile 'New Forest 200', the 303km Dragon Ride, and a non-stop 483km (300 miles) from Falmouth to London along the Trafalgar Way. Some would call it masochism, some madness; but in all honesty, I just enjoy riding my bike. I enjoy riding my bike, and seeing how far I can push my boundaries; there's no greater feeling than breaking them down and setting a new horizon. Earlier this year, I heard about the Mallorca312 challenge; a 193 mile sportive around the perimeter of Mallorca. 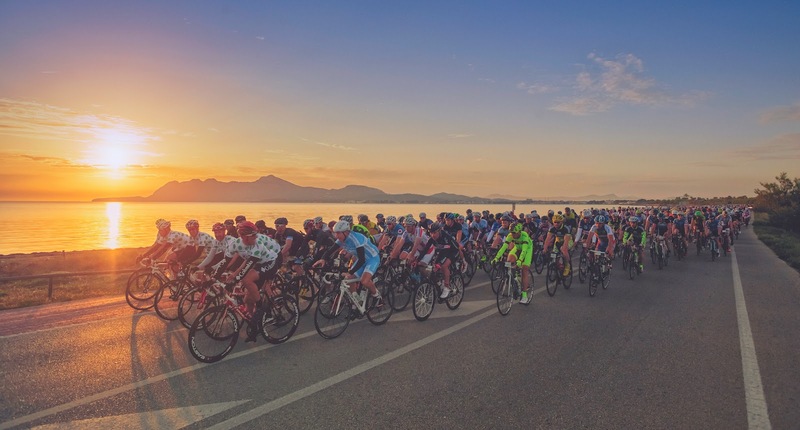 Perhaps it's because I'm an Islander, perhaps it's because I've spent my life-to-date doing laps of an island either in a boat or on a bike; whatever it is, I felt a real urge to take part in this sell-out sportive. In the style of Jens Voigt: "breakaways don't often work; but, in order for a breakaway to work, there actually has to be a breakaway!". Bike racing is a numbers game, and today I decided that although breakaways don't often work, neither do my sprints; so, I was better to try and make a break stick, than sit in and wait for the bunch gallop. Bike racing is a numbers game; and I knew the more attempts I made at breaking away, the more likely one would come good. Straight from the first lap of the 11 lap course, I tried attacking. One, two, three; I would go off the front, sometimes with others, sometimes on my own, but all three times I got swallowed up by the chasing pack. Finally, on lap five, it came good. Just after the chicane, and as the bunch had slowed a little, I went... hard. Last week, I reviewed the Znex Notstrøm Power Bank; an innovative portable power source for USB devices, which looks and feels much like a hand pump, but will deliver 10,000mAh of charge. 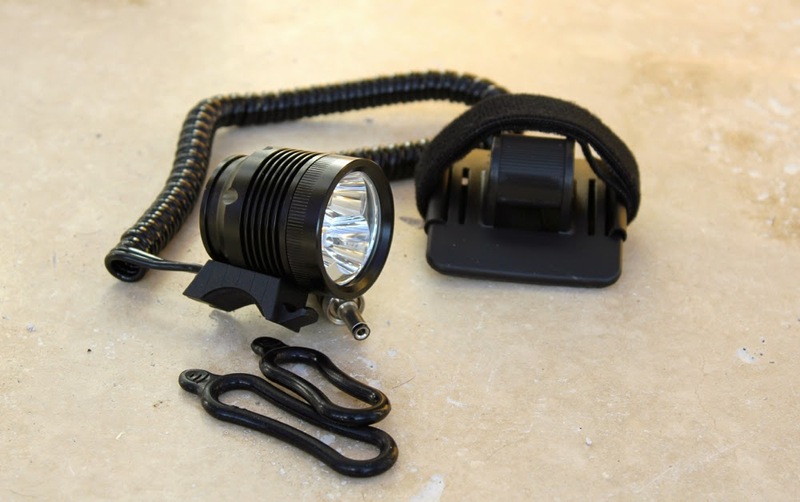 The ØM3 front light, is another tool from the German brand Znex, which partners with the Notstrøm to provide a compact and well made night riding light. The ØM3 uses 3 CREE XM-L LED bulbs, which pump out 950 lumen on maximum power. Combined with the high capacity Notstrøm battery, the light will run on that maximum power setting for just over four hours (impressive! ), and then for another hour in reserve (activated by switching the light back on after it has "run down"). 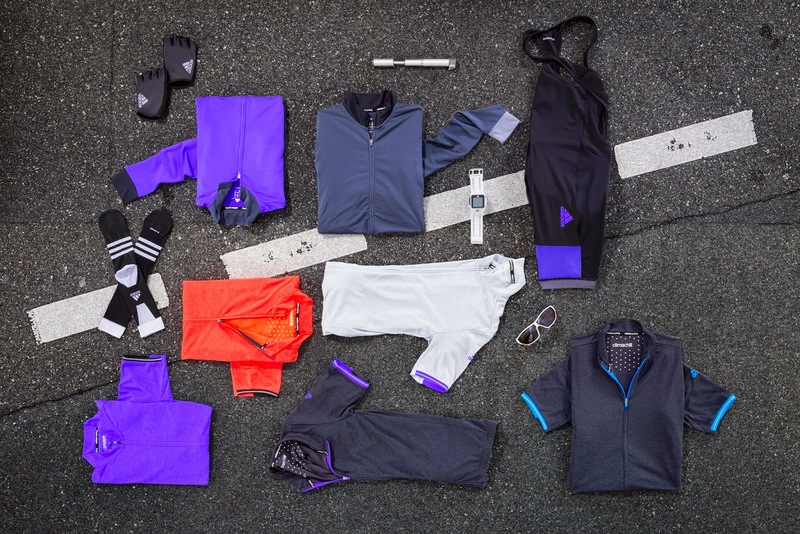 adidas today released their new Supernova Climachill jersey; an innovative product that promises a lot of comfort for hotter days. The short sleeved jersey uses some clever technology; such as aluminium cooling spheres that provide a cooling sensation on back 'hot spots', as well as Subzero flat yarns, which contain titanium and apparently liberate heat far better than traditional round yarns.